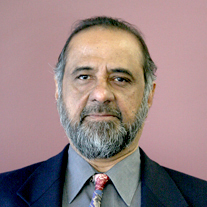 Kash Srinivasan | Econsult Solutions, Inc.
Kash Srinivasan is a Senior Advisor of Econsult Solutions and Principal of the Kash Srinivasan Group, a management consultancy focused on the nexus between environment and infrastructure, serving public sector clients both directly and through collaborations with other consulting and energy services firms. The practice builds on his extensive public sector experience involving stewardship of municipal water and wastewater systems, pollution mitigation, greenhouse gas reduction, waste management and recycling programs and other basic services. His tenure in the government sector featured the development and management of several successful long-term public private partnerships for delivery of critical services (wastewater treatment, fleet management, energy services performance contracting). He has served on several inter-agency and inter-state committees representing the City of Wilmington, including Delaware Water and Wastewater Infrastructure Committee, the Water Resources Agency for New Castle County, the Governor’s Council on Water Supply issues, and the Delaware Public Policy Institute forum on storm water utility legislation and funding mechanisms. He has served as the chairman of the Architects/Engineers Review Board. Mr. Srinivasan holds a bachelor’s degree in mechanical engineering as well as master’s degrees in biomedical engineering and civil/environmental engineering. His public sector work was recognized by Delaware Engineering Society in 2003, the Water Resources Association of the Delaware Basin in 2005 and the American Public Works Association (DE Chapter) in 2007.